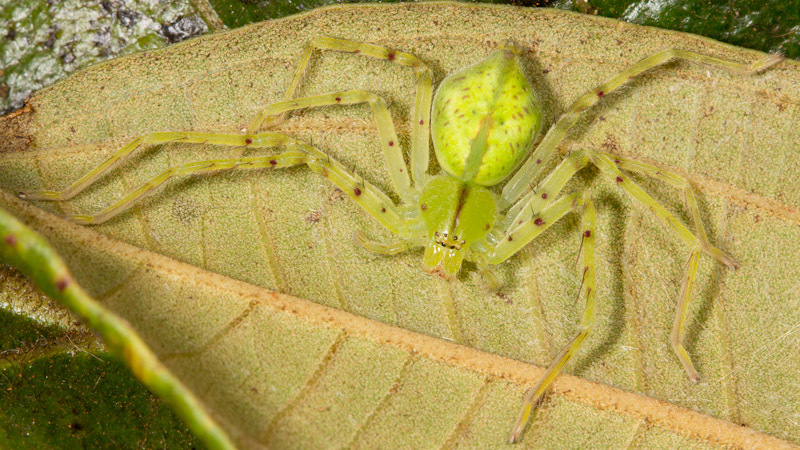 This attractive green huntsman spider in the family Sparassidae (formerly Heteropodidae) was concealed beneath a leaf. 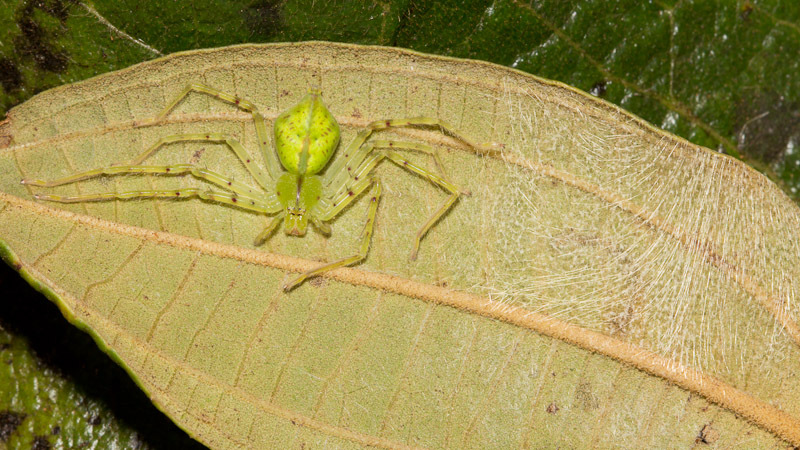 With such a striking green color, it must hunt primarily in foliage. 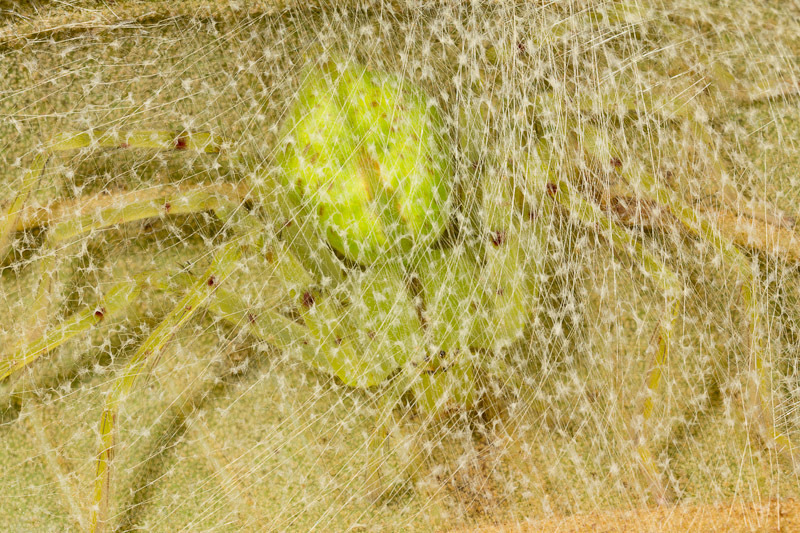 When I found it, it was concealed within a silken retreat on the underside of a leaf. The texture of the silk is interesting. That wouldn’t do for photos though, so I poked at it until it removed itself. 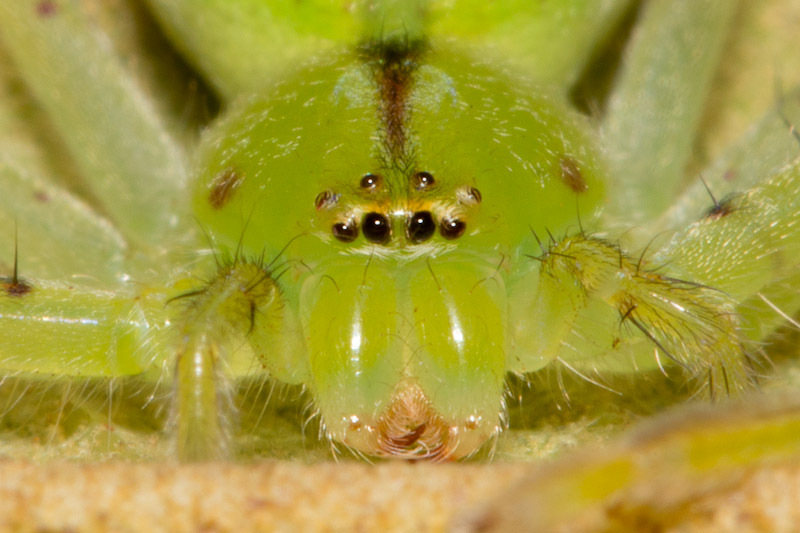 That did allow for some nice closeup shots though, like this one of the eyes. I always try to get a shot like this to help in the identification. I always try to remember to turn off one of the flash heads on my MT-24EX for these shots. Otherwise, each eye has a strange looking double highlight. I initially forgot but then I noticed while reviewing for exposure on the LCD so I took some more. Very fine. Wonderful detail. I enjoy your site very much.